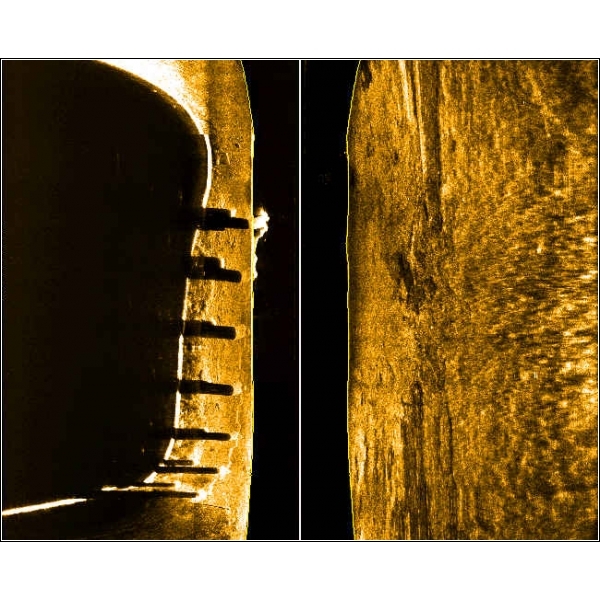 Irish Hydrodata | This is an acoustic device which employs sideways looking transducers fitted to a towfish. This is an acoustic device which employs sideways looking transducers fitted to a towfish. 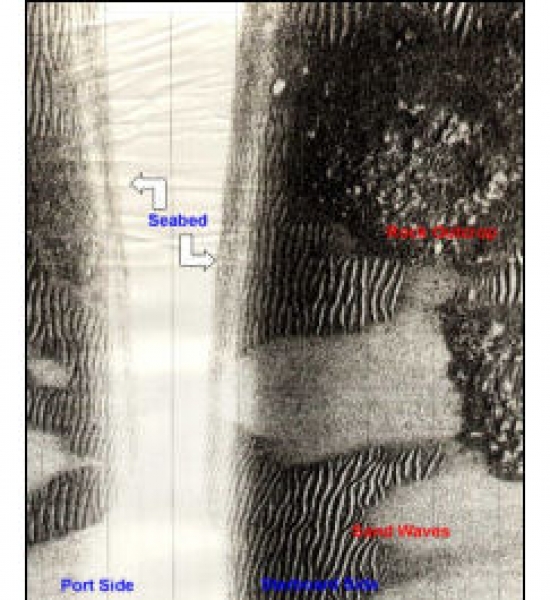 The sonar allows the seabed features within a 50-300m swathe to be mapped. 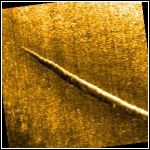 Sidescan sonar is particularly useful in identifying features such as rock, sandwaves, etc. 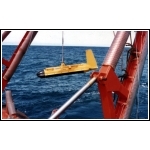 and can also be used in search operations, archaeological survey and for the inspections of pipelines for suspensions. For detailed short range (<50m) work a 500kHz fish is best. A lower frequency (100kHz) gives a greater range but with reduced resolution. 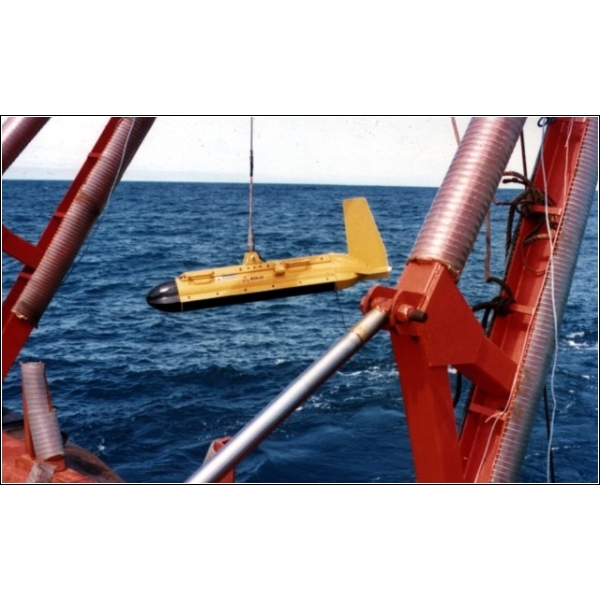 The accuracy and resolution depend on the range to a particular target and speed of vessel. With care it is possible to resolve features of <100mm width.